Reception for Robert Francis at the Jones Library. Caption on reverse reads, "Amherst Record, weekend, Aug. 20, 1977, p.1 Reception for Robert Francis, Amherst poet, following presentation of a bust of Francis to the Jones Library by sculptor Anna Wang of Montague for the poet's 75th birthday(Aug. 12). L. to R. - unidentified woman, Mrs. Joseph Langland, Joseph Langland, Nathan Smith, Robert Francis, unidentified woman, Horace W. Hewlett, chairman of the Board of Trustees." 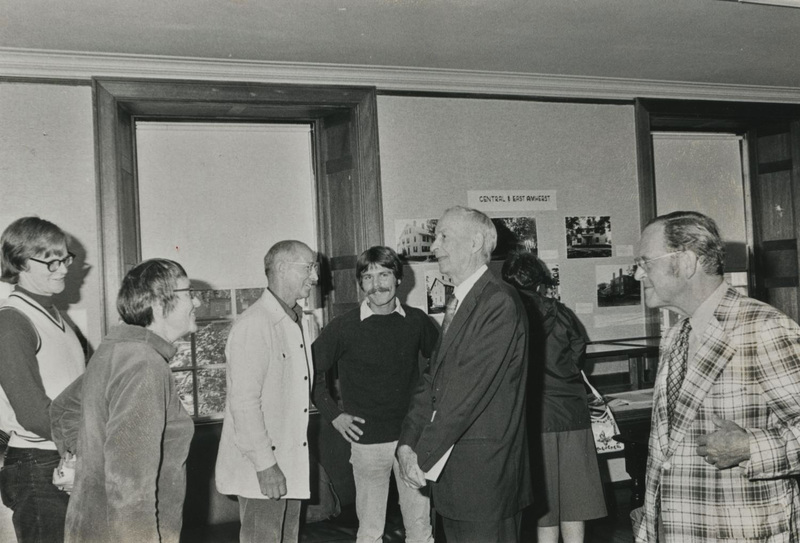 “Reception for Robert Francis at Jones Library 1977,” Digital Amherst, accessed April 23, 2019, http://digitalamherst.org/items/show/1961.